A 2016 grant awarded to Pencils of Promise enabled the construction of a school benefitting 109 students and over 500 community members. The MoneyGram Foundation recently celebrated the construction of a brand new, four-classroom school for students in the Kang community in the Luang Prabang province of Laos. The building was funded through a foundation’s grant to Pencils of Promise (PoP), an international nonprofit organization that increases quality education access through programs and school buildings for children in the developing world. Students in the community previously attended classes in a wooden structure with bamboo walls and dirt floors, which formed puddles in rainy weather. The overcrowded classroom also lacked ventilation, creating a hot and congested environment poorly suited to learning. The foundation’s grant enabled PoP to partner with students, teachers and members of the Kang community, who worked tirelessly to construct and equip the building with blackboards, benches, desks, doors. To celebrate the project which had lasted four months, PoP officials and foundation representatives hosted an opening ceremony and unveiled a customized plaque posted on the building. 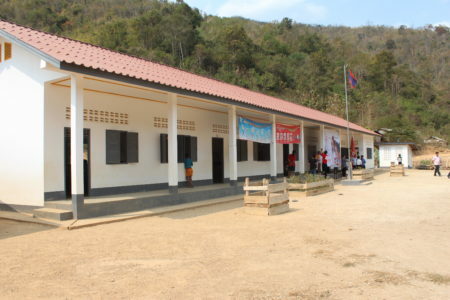 MoneyGram Foundation funded the build of the school in Luang Prabang province in 2016. An additional grant to build a second school is currently being proposed. Pencils of Promise was awarded $35,000 in 2016 for the school in Luang Prabang. If the additional grant is approved, the Foundation will award another $35,000 for a total of $70,000. 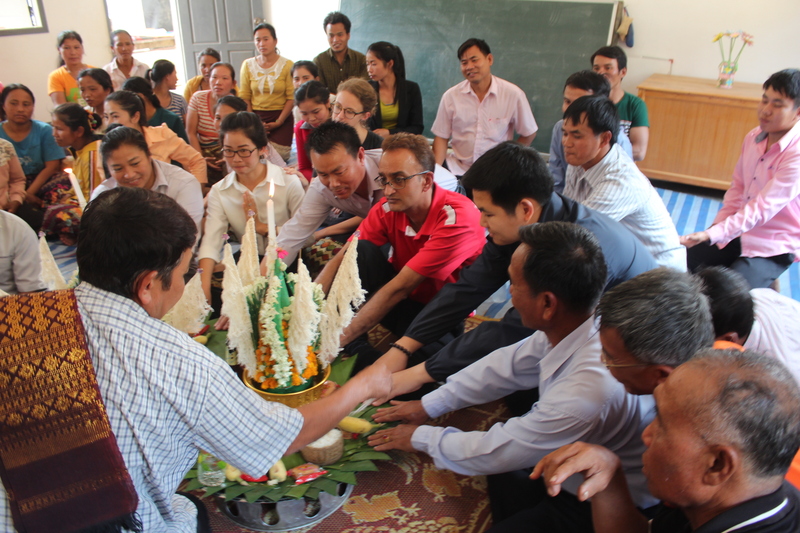 The local community also contributed 20% of the materials and labor for the school. 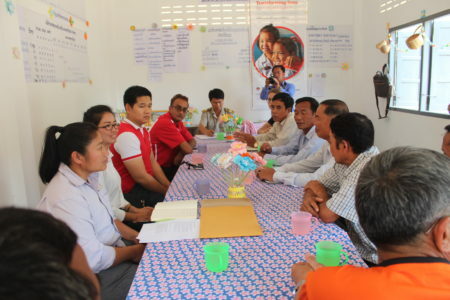 The MoneyGram Foundation worked closely with the Pencils of Promise team that coordinates with the local community and the Lao government to ensure the project’s success. Pencils of Promise (PoP) is an international NGO founded in 2008 to increase access to quality education for children in the developing world. PoP works in partnership with national governments and communities across the globe to build schools, train teachers and create programs that provide education opportunities for children, no matter where they were born, or what resources they have. In just seven years, PoP has built more than 380 schools throughout Laos, Nicaragua, Guatemala, and Ghana, providing educational opportunities to more than 35,000 students and establishing itself as a leading innovative global nonprofit working toward sustainable social change.